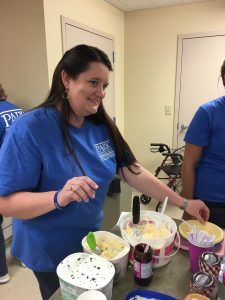 New Richmond residents were recently treated to a delicious ice cream social, compliments of Park National Bank. 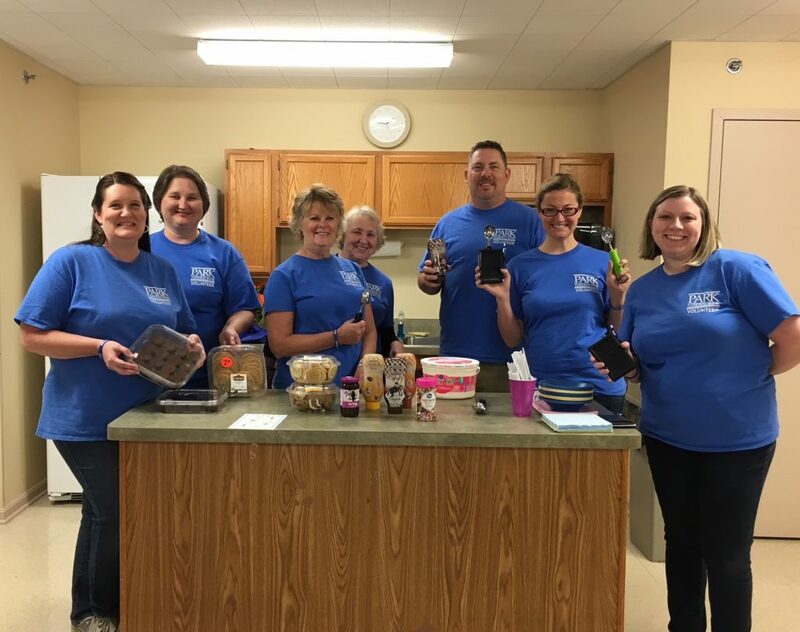 Park Cares Week is a time when bank associates devote hours to community service projects with various local agencies. 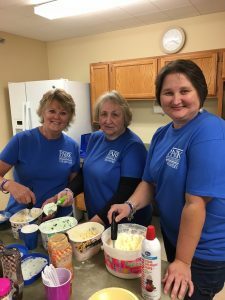 Historically, 100% of the employees have devoted volunteer hours for their community! 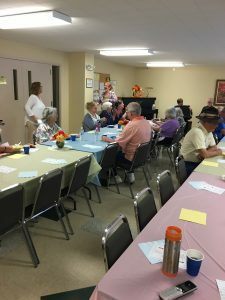 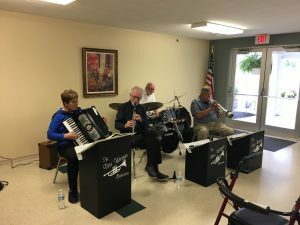 During the ice cream social, employees had the opportunity to visit with residents and enjoy a fabulous afternoon of entertainment provided by the Pete Wagner Orchestra, a crowd favorite. 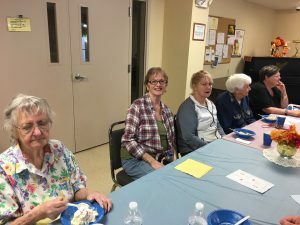 Clermont Senior Services is so grateful for Park National Bank, as well as other local businesses who strive to be active in their community through acts of services. 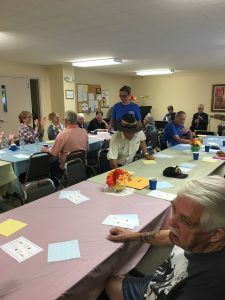 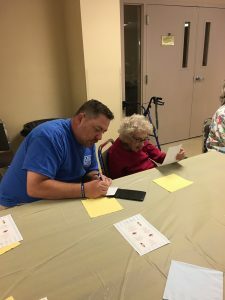 Serving the older adult population in Clermont County is definitely a team effort and it would not be possible without such responsible corporate citizens!